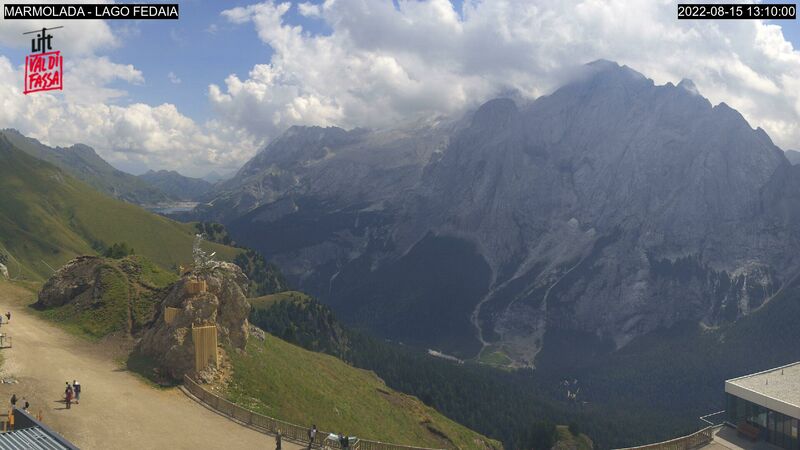 Panoramic viewpoint: static webcam. Passo Fedaia and Lake (2 054 m). 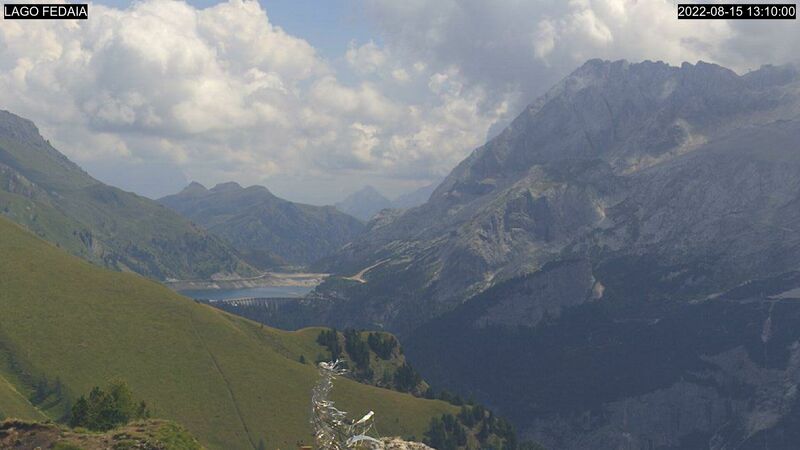 On the right side you can see the Marmolada glacier, the Queen of the Dolomites, scene of many First World War cruel battles and, since June 2009, Unseco World Heritage site. 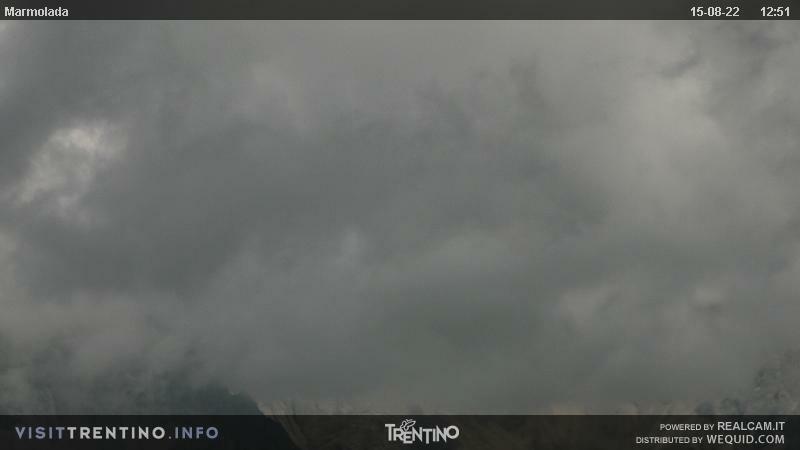 The pass is located between the provinces of Trento and Belluno. Passo Fedaia is reachable by car from Canazei (about 14 km) or by foot during the summer time (track no. 601 "Viel dal Pan"). From the pass you can reach the refuge Pian dei Fiacconi with the namesake lift (2,625 m). Do not miss the Private War Museum (open from June to October).